A small segment of the FIFA World Cup history book was rewritten by Switzerland’s Fabienne Humm this year as she hit the fastest hat-trick ever scored in the tournament, and as the FC Zürich captain uncovers some of the hidden edges to the national team and to her own story, the details may not be quite as expected. For those with a vested interest in the women’s game, words like ‘progress‘ and ‘change‘ have been heard so many times that it is perhaps fair to say they have entered cliché territory. In recent years, international tournaments have come and gone but most would surely agree that the wider interest, anticipation and enjoyment that surrounded this year’s World Cup was on a different level to anything that had preceded it. As the tournament expanded to 24 competing nations for the first time, Switzerland were among those making their very first appearance, not only in the World Cup, but in any major international competition. Quite simply the greatest showcase of all in the sport, the tournament can ensure that certain names are engraved in its folklore, offering up the chances for players to live out moments they had only previously envisaged in their fantasies. One of the most wonderful qualities of the World Cup is how any team or player participating can step into this limelight, whether they even come close to reaching the latter stages of the competition or not. The Swiss side may have had their run ended at the round of 16 by hosts Canada but their solitary win of the tournament was emphatic in the extreme, as they trounced fellow debutants Ecuador by ten goals to one. In the game at BC Place in Vancouver, where the final between the USA and Japan was held, Fabienne Humm of FC Zürich grasped her moment as she set a new record for the quickest three-goal haul in a World Cup match from any player in the tournament’s history, male or female. Japan’s Mio Otani had struck a hat-trick in eight minutes in 2003 against Argentina, while László Kiss managed the feat for Hungary’s men’s side in seven minutes against El Salvador in 1982, but Switzerland’s number 16 wrote her name above both with strikes in the 47th, 49th and 52nd minute on June 12th. 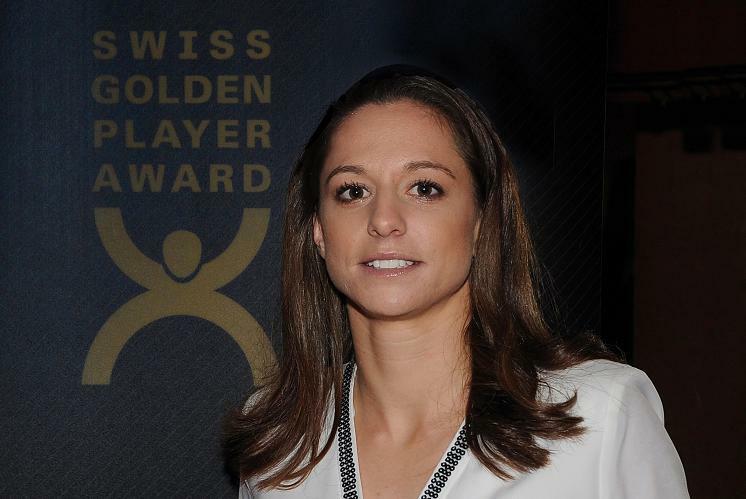 Although she represents the Swiss champions and received the national Golden Player Award after a terrific goal-laden season last time out, Fabienne hasn’t always been a recognised attacking player. It is maybe somewhat surprising for someone who holds the distinction of the fastest World Cup hat-trick, but she has often featured at the back and in midfield for the national team and didn’t make her international debut until 2012, at the age of 25. Players throughout women’s football have long made huge sacrifices just to play the game, with former Australia defender Thea Slatyer arguably the most spectacular example, as she combined a top-level on-field career with a sensational all-action lifestyle alongside it, which she described in detail on here in July 2013. Fabienne’s own situation is undoubtedly quite something also, as she works full-time in Gebenstorf for an LCD technology company. Taking unpaid leave to play in national team games, ‘Fabi‘, 28, paints the picture of another arena she likes to step into on the relatively rare occasions when her schedule allows. This also provides her with the perfect setting to try out some flamboyant finishes. “Since I’m working full-time during the day and I have football training or games almost every night, there is not much spare time for me, but whenever I get the chance, I love to play beach soccer. It’s so much fun to do bicycle kicks and playing on a small team where everyone gets lots of touches on the ball is also very pleasing. As Ecuador were dismantled in that Group C clash last month, Fabienne’s range of striking play was demonstrated with an effort from outside the box, a header, and an instinctive close-range finish. Although she took 16 minutes longer than Fabienne to complete her treble, striker Ramona Bachmann also claimed a hat-trick for the Swiss in their first ever victory at the tournament, with two from open play and one from the penalty spot. It is becoming the case more and more in the women’s game but it is true to say that Switzerland no longer have a team filled with unfamiliar names. As well as FC Rosengård forward Bachmann, ‘La Nati’ also boast VfL Wolfsburg’s versatile Lara Dickenmann in attack and established players like their captain, FC Bayern Munich’s Caroline Abbé, in their defensive ranks. Another of those currently signed to one of Europe’s leading clubs is a 1. FFC Frankfurt forward, who helps to instigate more than just attacking moves on the field for the Swiss, as Fabienne explains about her good friend. Prior to moving to Germany, the 24-year-old Crnogorčević played for FC Thun back home in Switzerland. Fabienne’s FC Zürich have been the dominant force in Swiss women’s football in recent times, winning the last four league titles and a record 19 overall. Alongside the will to win is a fun side to the UEFA Champions League participants and Fabienne got to be a part of a memorable little project back in 2014. 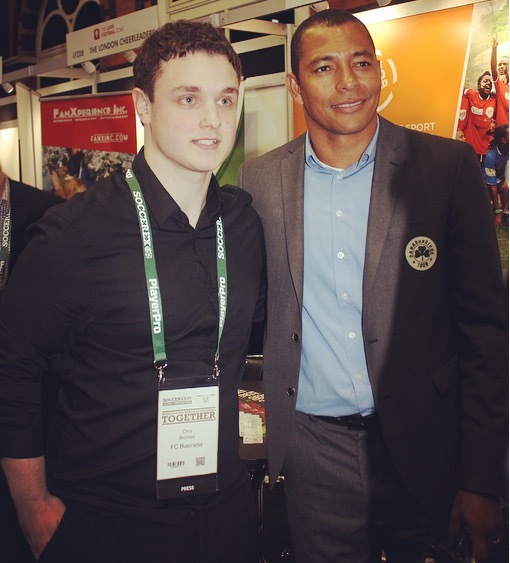 Music’s incredible ability to motivate individuals, take them back to a moment, or bring them closer to others makes it something that so many players can talk about in relation to their journey through football and life, which is the idea of this site. It was responsible for providing some light relief for her club team when they ventured into the recording studio and music is also a part of Fabienne’s own personal routine. “I listen to my favourite songs on the way to our games. At the moment, the most played musicians on my device are Ed Sheeran and Years & Years. As Fabienne’s liking for Englishman Ed Sheeran’s material and another British-based act in Years & Years indicates, music can pass international borders so frequently. The first single Fabienne ever owned came from a little closer to home – a French house track that enjoyed success in various countries back in 2000. Much like it took time for Fabienne to work her way up to national team contention, her chance in the Nationalliga A came only after a climb from the lower divisions. Having been with FC Schlieren, she moved to the top flight with Zürich at the age of 22. Among the internationals at the club is New Zealand midfielder Katie Duncan, who also represented Notts County, but it is a 19-year-old Swiss forward who stands out for Fabienne when it comes to singing, although she would not confirm whether this was for good or bad reasons! Martina Voss-Tecklenburg is Fabienne’s coach for Switzerland and the one-time Germany star is more than familiar with what it takes to be a player at the highest level. The former midfielder/forward quickly saw something in Fabienne and stated how she was impressed by the hunger and desire she played with when she introduced her to La Nati three years ago. Following her World Cup exploits, Fabienne has 13 goals in 39 appearances for her country, but aside from her international strike rate, can she measure up as a vocalist off the pitch? In the past, Zürich have had talents like the great German duo of defender Sonja Fuss and striker Inka Grings, and the current crop begin their upcoming season on Friday August 7th as they host Grasshopper. Fabienne exudes the feeling of great contentment, and appreciation for what she has, despite her hugely demanding roles as an athlete and a full-time worker. She has explained previously how she would be required to give three months’ notice if she was to leave her job and this has meant she has turned down playing offers in the past as the teams in question needed her to begin much sooner. Although she expresses happiness at her situation as it is, the question of whether she will become a fully professional player in the years to come remains, especially given the increased exposure she received from the World Cup. If however Fabienne decides to go a completely different route and make music instead, here is the defender and club teammate who would be joining her to rock this cover version! As Switzerland contested their first knockout match at a major tournament this summer, Fabienne had her family and friends there to see her in Canada. In front of 53,855 in Vancouver, the team took on a home side expected to progress, although it was ultimately only a 52nd-minute goal from Josée Bélanger that sent John Herdman’s team through. In the group phase, Switzerland were beaten 1-0 by holders and eventual finalists Japan, as well as losing 2-1 to Cameroon, but their 10-1 destruction of Ecuador was ultimately enough to see them qualify. In the Canada clash, Fabienne entered the game with 18 minutes remaining but neither she nor her teammates could come up with a goal to level it. Nevertheless, the weeks and months that had led up to the tournament, as well as the memories taken away from the on-pitch action and all that surrounded it, left quite an impression on Fabienne. “There were lots of impressive and also new experiences for our team, as well as for me personally. It definitely is an unforgettable experience, even though we could have done even better on the field. “Personally, I will always remember having scored the fastest hat-trick in the history of the FIFA Women’s World Cup. And for the team, I’d say playing in front of a full stadium in our game against the host Canada was spectacular. The World Cup is a golden spectacle that puts names up in lights, but there is far more to Fabienne than just a record-breaking three goals. A character whose commitment and leadership have earned her the captain’s armband at club level, she is helping to steer some of Zürich’s emerging youngsters in the right direction, and there could well be far more to add to the tale from her own perspective. While we wait and see what lies ahead for ‘Fabi‘, she has one more contribution to give to this interview. Each player to feature on here is asked to put themselves into a fantasy team of five players and to select four of their teammates from any point in their career to make up their side. As well as the potential for some of those overhead kicks she loves, Fabienne can of course slot into just about any position on the pitch, so 5-a-side is pretty ideal for her! She introduces her line-up and tops it off with a forward who, at 19, made the Swiss squad for the World Cup this year and has already impressed Fabienne with her movement. “Goalkeeper: Seraina Friedli – she has a great goal kick. Defender: Marina Keller – a very experienced player with a high level of understanding and oversight of the game.